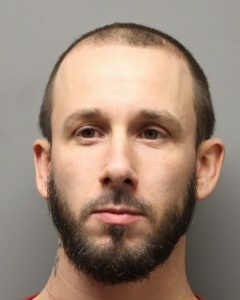 Rehoboth Beach– The Delaware State Police have arrested two suspects in connection with multiple shopliftings. On January 4, 2019 at approximately 11:30 a.m., Troopers were dispatched to the Nike outlet in Bayside Outlet in reference to a shoplifting complaint in which the suspects had fled the scene. Troopers were provided with a vehicle description, a silver Oldsmobile Alero and observed a vehicle matching that description traveling northbound on Coastal Highway. 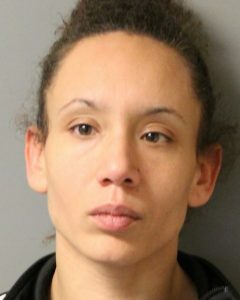 A traffic stop was conducted and it was discovered that the driver, 32-year-old Donald L. Dailey Jr. of Milford and his passenger 27-year-old Ashley N. Cannon of Milford currently had active warrants for shoplifting. Both suspects were taken into custody without incident. Cannon was found in possession of drug paraphernalia and both suspects were transported back to Troop 7. A search of the vehicle revealed stolen merchandise. Through further investigations it was discovered that the suspects had shoplifted from multiple other businesses since December, including Tommy Hilfiger, Marshalls, Nike and Adidas. Dailey was arraigned before the Justice of the Peace Court 2 and released on $6,500.00 unsecured bond. Cannon was arraigned before the Justice of the Peace Court 2 and committed to the Dolores J. Baylor Women’s Correctional Institution on $7,000.00 secured bond.